From deer and big game hunting to upland hunting and fall fishing, the autumn season is a celebration of renewable resources and grand sporting traditions. According to a Responsive Management study on the future of hunting and shooting sports, crossover participation is a key component of recruitment and retention within outdoor sporting segments. In short, today’s duck hunter may also be tomorrow’s grouse or deer hunter, or visa versa. As such, special Youth Waterfowl hunting days are not only important to the future of waterfowl hunting but each and every crossover sport the young outdoorsman or woman will participate in over their lifetime. 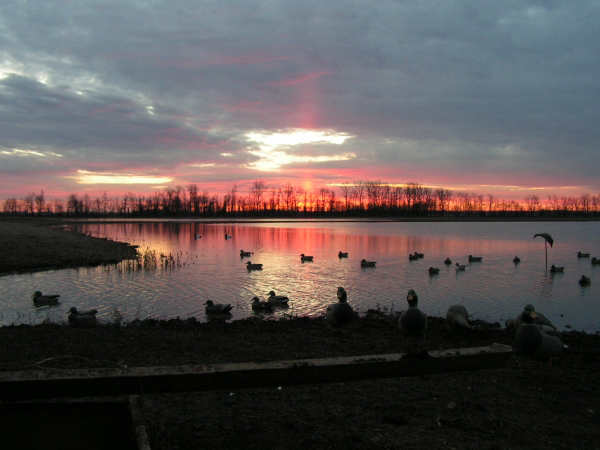 Of course, mentoring plays a significant role in the outdoor sports and for early season waterfowl hunters, species identification is a crucial part of that education – especially when waterfowl are in eclipse phase plumage and have yet to molt into their brighter, easily recognizable, breeding plumage. After the nesting season, the distinguishable breeding feathers of waterfowl are replace by a natural brown layer of feathers that aid with concealment when they molt their flight feathers. While ducks molt body feathers twice per year, they only shed wing feathers once per year – making them the definitive guide to species identification. The colorful area in the lower center of the wing is known as the speculum. The color patterns on these feathers provide a distinct guide to waterfowl identification. When combined with other factors like bill and feet color, hunter can identify waterfowl even when in they are in eclipse phase plumage. This is especially important for early season mallard harvest where all mallards are brown, and have the same speculum colors. So how do you tell the difference between a early season hen and drake? Bill color. Drakes are greenish yellow to yellow, and hens are orange and mottled with black. As you venture into the field over the next month and plan your youth waterfowl hunts, Waterfowler.com encourages you to focus on species identification as part of young hunter training. The knowledge is essential for hunting within the limits of the harvest regulations and an interesting blind topic to have with young hunters while relaxing in the duck blind. Support materials for this topic can be found at: http://wdfw.wa.gov/hunting/waterfowl/duck_id_guide.pdf Be sure to download it to your phone for easy, in-field identification. The drought continues. After a difficult season last year (the worst on record for many hunters) the lack of water up and down the Pacific Flyway will have a negative impact on hunter success again this season. Hunter participation is expected to be down again this year and access to good, wet habitat will be limited in many areas (especially in California). White fronted geese a have already begun to migrate and specks are present in both Washington and Oregon at this time. Duck numbers in Sacramento Valley are below average for this time of year but up slightly over this time last year. Duck numbers are fair to good in North Dakota with pond counts up significantly over last year. Duck numbers along Missouri River corridor are normal for this time of year with duck numbers are fair to good in South Dakota and good. Teal numbers are good to excellent along coastal marshes in Texas and fair in Kansas and Oklahoma. Hunter success in Minnesota and Wisconsin was good to excellent with teal, wood ducks and local mallards making up the primary bag limit over opening weekend. Green wing teal numbers are on the rise in the northern portion of the flyway with blue wing teal numbers dropping as they continue to move south. Redhead and Ringed-neck duck numbers are low but expected to increase over the next few weeks in Minnesota and Michigan’s Upper Peninsula. Teal and wood duck numbers are good to excellent through out the New England states with ringed-neck duck numbers good for this time of year. Migrant Canada goose numbers are average for this time of year with resident numbers good to excellent. Teal are present from the Chesapeake Bay to Florida with numbers fair in the Carolinas, and excellent in Florida at this time.